Before you do any changes to the Storage Device Manager, you will need to check for the Device label for the partition you want to enable automount. You can open Disk Utility to get the Device label for the particular partition. For my laptop, I wish to automount the partition called Data, and the Device label is /dev/sda4. Now, under Storage Device Manager, click on the partition you want to enable automount (for my case, sda4) and click OK on the "Configure now?" 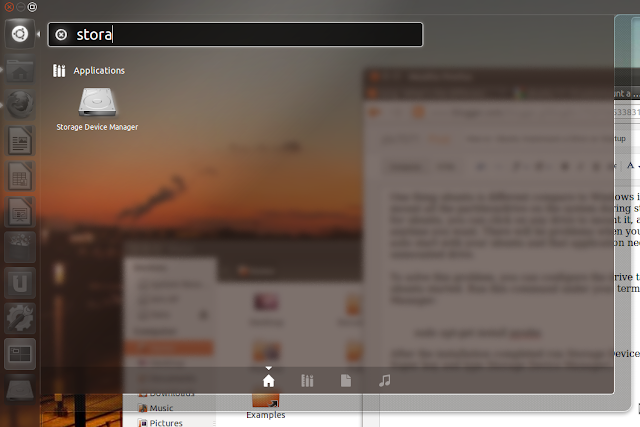 dialog box. Make sure that the selected drive is correct before you click OK, and take note your hard drive configuration might be mess out if you mistakenly configure the wrong setting or partition. So, becareful with this. After clicking OK, click the "Mount" button, "Apply" and "Close". 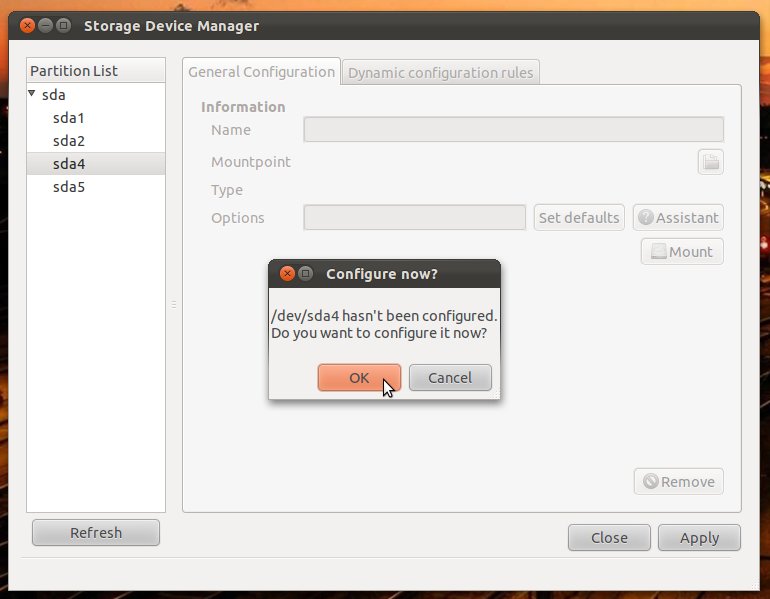 Now you can try to restart your ubuntu, and the partition that you "mount" just now should automount everytime your ubuntu start.